Master Grey is a nature spirit. He works in the forest with life energy and coordinates the work of smaller beings. Besides that he has also chosen to help people. The book tells about the first meeting with Master Grey; when he suddenly stood in front of me on the path and blocked my way. It was frightening with his intense gaze, his dark skin colour and his coarse manners. The first months I was shifting between feelings of sympathy and fear but gradually my gaze cleared and Master Grey could show his true, humorous and wise self. He certainly is rough and unpolished but, in the same time, incredibly helpful and loving. Through the book you also get to know many other nature beings and what they do, for instance; the serious and kind tree guardians, a cunning troll-women and her mischievous tricks, rock beings and their faithful work and the nymph's sensual play in the water. 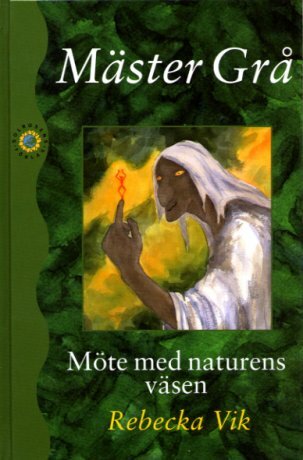 Master Grey - Meeting with the Beings of Nature is translated to English. I hope I will soon find a publisher for the book! Can Dogs see Nature Beings? A very beautiful and personal declaration of love to nature and timelessness. To read it filled me with hope and reliance. I am proud and happy to have Master Grey in my bookcase. I read the book without stopping and loved the language. Interesting! The language is super. I read Master Grey right now and loove what I read. Sometimes it is a bit scary but all together it makes life more exiting and more worth living. A very important book in our time! It is so inspiring. Master Grey is a masterpiece!